Okay y’all, I am officially in charge of the Thanksgiving Dessert this year. (I personally wanted to make an amazing sweet potato casserole, but what are ya gonna do?) I’ve been on a mission to master a perfect T-giving dessert. The pro of being in charge of the dessert is… If it turns out bad no one will notice because they’ll all be so full. The con of being in charge of the dessert is…. if it turns out phenominal, no one will notice because they’ll all be so full. 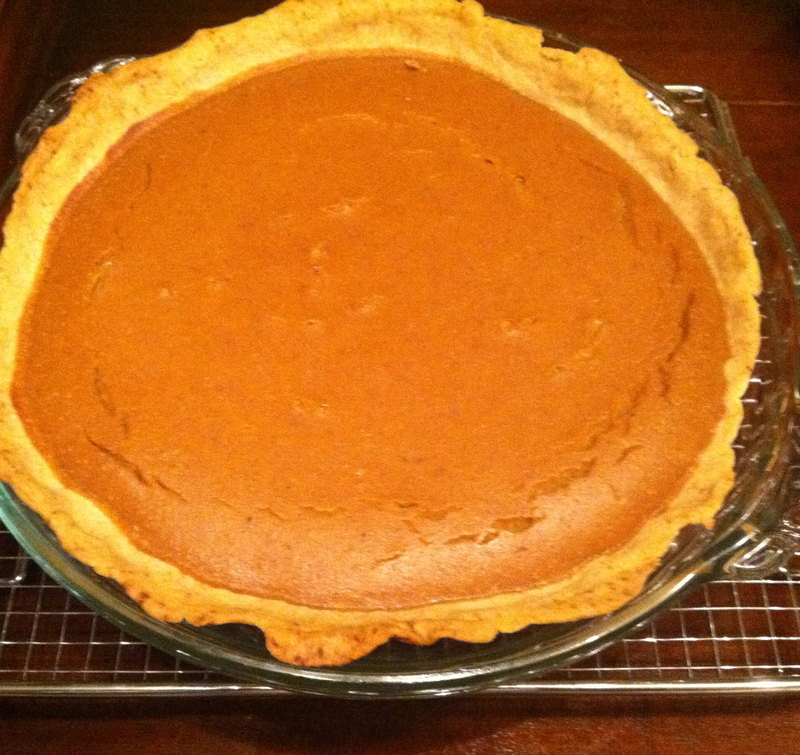 This past Thursday I started off the search by making a Pumpkin pie. Jarrod liked it, but I realized that I hate pumpkin pie. Pumpkin Pie is off the list. Please excuse the ugly crust…I was in a hurry while making, and didn’t get to make it look picture perfect. 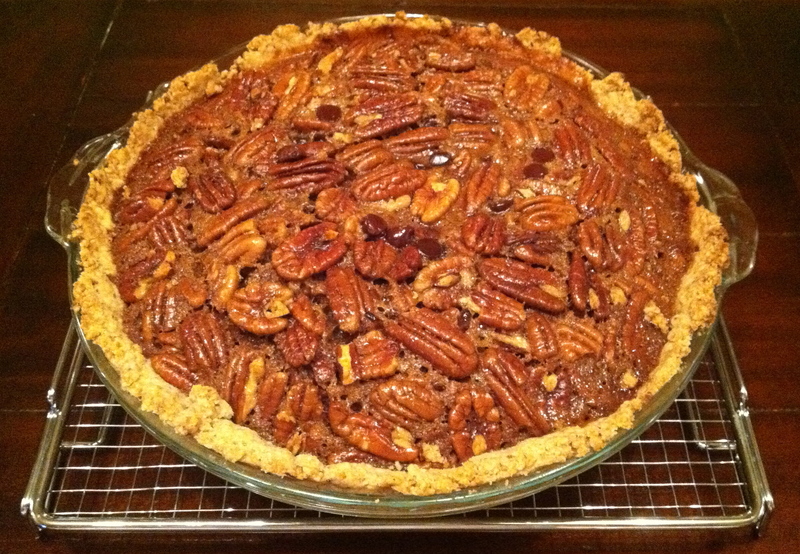 Tonight I made a chocolate pecan pie. I liked it, Jarrod loved it. Still on the list, but can totally be replaced. To me, this one looks better than the pumpkin pie anyway. The search is on… send me recipes, I’ll try them, and then post! This will be on the table in Switzerland for Thanksgiving at the Hawkins house!